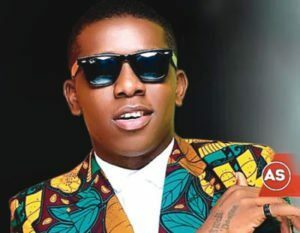 Street singer and ambassador, Adekunle Temitope popularly known has Small Doctor has recounted how God and the men of the Nigerian Army saved him from being lynched to death in Lagos. The singer who sat in an interview with Sunday Scoop revealed there was a particular day in which he just decided in his heart to go and show love to the needy by giving them money so they can attend to certain needs and a bloody and shocking incident happened. He revealed there was a particular man he gave money whom after collecting the money raised an alarm that he’s lost his manhood. The singer revealed he was so shock to have witnessed such embarrassment and highly implicating scenario, he also revealed just few seconds after the man raised the alarm, people had gathered ready to lynch him but were stopped due to the timely arrival of some soldiers. He said if not for the intervention of the armed force, it could have been a tragic story at the end. “Givers, they say, never lack. Giving to people comes from my heart; so, I don’t intend to stop giving. But I have learnt a lesson from this experience and I will now be more careful. There is nothing that can stop me from helping people around me. He also revealed Small doctor is doing fine, “Small Doctor is fine now. You don’t use something like that as a publicity stunt. He was almost lynched! He is not an artiste who enjoys publicity stunts.